A/V receivers act as an organizer or electronic gateway for your house entertainment system, and combine the functionality of a number of devices into one box. Current A/V receivers provide HDMI input/output, with an addition of sophisticated video processing for high-end-units. The best receivers will provide better quality of sound, which can cause viewers to be fully engrossed in the atmosphere intended by movie directors.Below is a comparison of the Onkyo TX-NR636 vs Denon AVR-S900W. Even though the previous year’s avr-e400 was an exemplary receiver, it was somewhat light, in terms of features. This was corrected by the introduction of the 7.2 channel Denon AVR-S900W. It has more features, tweaks, wireless capability as well as connectivity. The Setup Assistant present in the previous model is also available in the current model. This helps users during the setup procedure. Besides having a remote that is user-friendly and simple, there has been an addition of Quick Select Buttons that enhance functionality. Compared to the previous model that lacked wireless connectivity, the new version has built-in DLNA compatibility, Bluetooth, Wi-Fi and Apple Airplay Support. It also has a powerful performance of 185 watts for each channel. 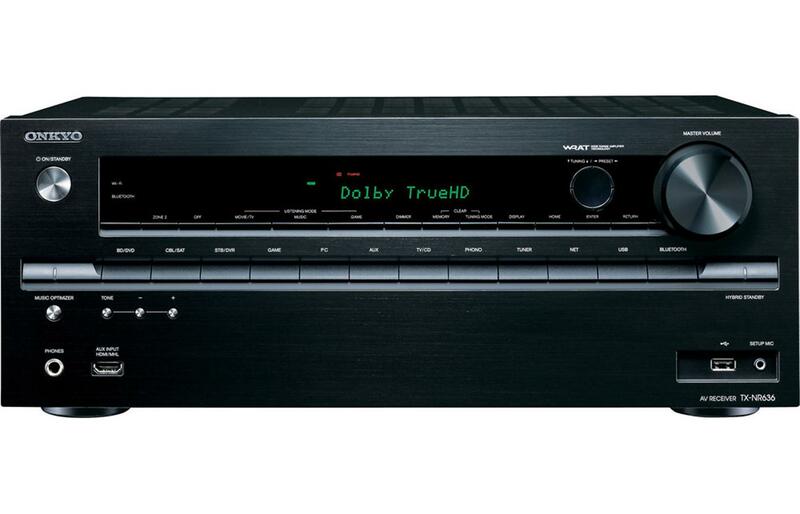 Onkyo A/V tx-nr636 receivers offer the best technology, features and performance. This model replaces the previous one-TX-NR626, with an addition of some features, but still maintaining the best elements of the previous one. It has a Marvel Qdeo video processor and also a 2.0 HDMI units hence enabling it to sustain 4K/60Hz. It is presently the only receiver to have this upgrade. This makes it a good choice for people who desire to future-proof their homes. It has a power of 115 watts for each channel. It also has MHL compatibility, DLNA certification, Bluetooth, Wi-Fi and numerous streaming options. Unfortunately, it does not support AirPlay. It has a simple but lengthy setup procedure as well as exemplary sound output. Both receivers seem to have excellent features. However, the tx-nr636 has a long procedure during setup, has minimal watts for every channel, does not support airplay compared to the avr-s900w which has a Setup Assistant, supports Airplay and has 185 watts, ensuring great performance. Therefore, in comparing the Onkyo TX-NR636 vs Denon AVR-S900W, i would choose the Denon AVR-S900W for a receiver.